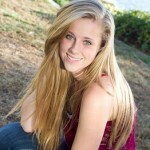 Hannah Rose Huinker is 17 years old and is at junior at Great Oak High School in Temecula, CA. She has two older sisters, Kristin and Katelyn, and a twin sister, Sarah. One of her favorite things to do is to make her friends and family laugh with her outgoing personality and sense of humor. Hannah’s goal is to become a professional film/stage actor and a model. Hannah has been in such plays as Bye Bye Birdie, Flowers for Algernon, Mulan, and Arsenic and Old Lace. Her favorite and most recent performance was portraying Mrs. Frank in The Diary of Anne Frank. She is currently involved in the filming of the YouTube series, Memoria. She has worked with Jon M. McDonnell of Bad Gorilla Films on Endemic, and in addition she is going to be involved in several short films from aspiring writers and directors. Hannah is very involved in her school’s Drama Department and Film Club. She has also had professional stage and film training with JDS Actors Studio in Murrieta, CA. Through attending JDS workshops she has been given the opportunity to meet with several actors, producers, directors, managers, agents, and casting directors who have helped her progress and grow as an actor. Hannah has also done many of their monthly showcases to perform multiple monologues and scenes. Hannah’s favorite performance at JDS was the original dramatic monologue she wrote called “Goodbye Jane”.